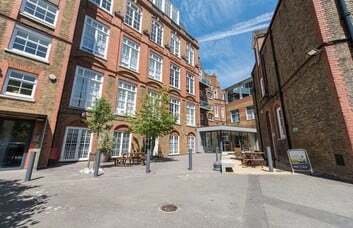 This business accommodation in London's SE1 postal district presents cost-effective offices to let. The property is home to a variety of units. They are available to rent in a furnished or unfurnished capacity and there are different sized rooms from which to choose. 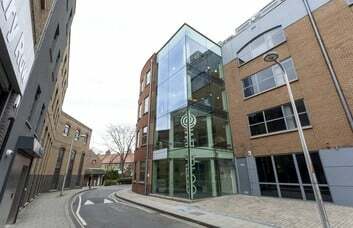 In addition to Managed office space, the commercial centre in Southwark has studios and workshops. All the different spaces can be let on an all-inclusive square footage basis. The terms make the premises an affordable option, particularly for small companies and start-ups. These London offices benefit from on-site management. The friendly team is always available to help with any queries, no matter how small. There is some car parking (subject to availability) and a kitchen for tenants to use. 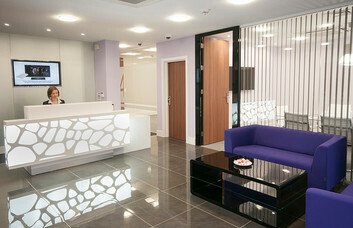 The building is fitted with telephone systems and broadband connectivity - they are available for an extra fee. 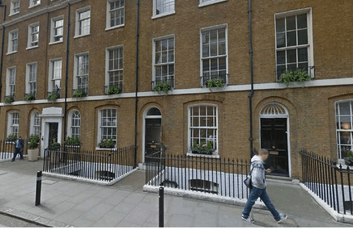 The property is set on Glasshill Street close to Borough tube station and London Bridge, both on the Northern line. There are plenty of attractions in the neighbourhood. Borough Market is the go-to place for independent eateries and fresh produce. Southwark Cathedral and its grounds is a lovely spot for a lunchtime break.